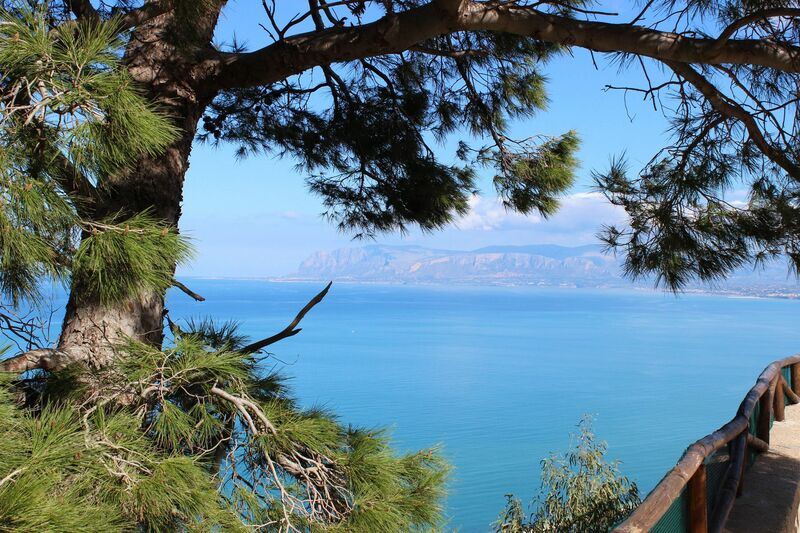 The Zingaro Nature Reserve encompasses some 1650 hectares of mountainous coastal area stretched between the famous beach-resort San Vito lo Capo and the little picturesque village Scopello on the western side of the Gulf of Castellammare. 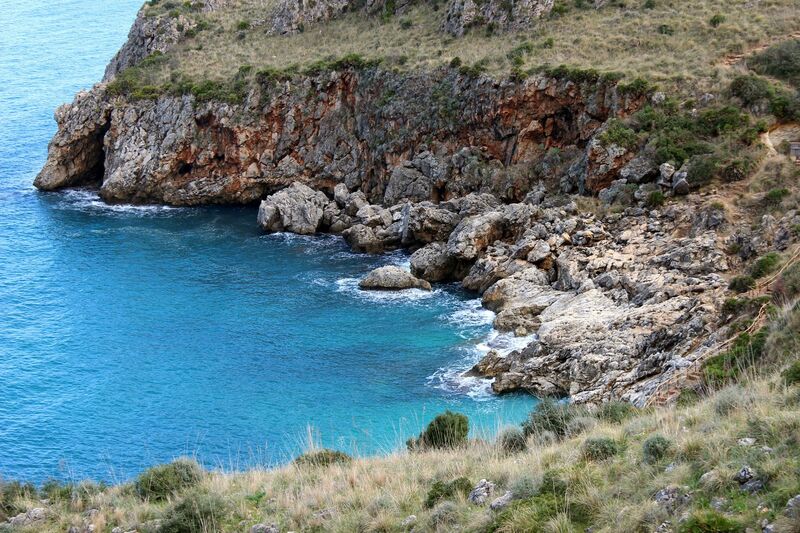 Geologically, the area is formed from limestone rocks more or less steeply dropping into the Tyrrhenian Sea. The highest peak – Monte Speciale reaches 912 meters (2,992 ft) above the sea level, while Monte Passo del Lupo and Monte Acci correspondingly 868 (2,848 ft) and 839 (2,752 ft) meters. 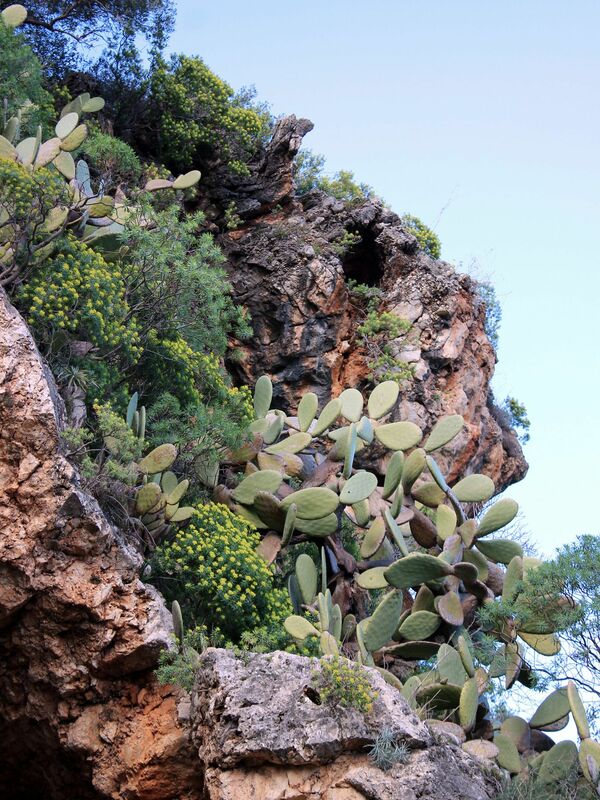 Overgrown by Mediterranean bush, cut by ravines, with winding shoreline marked by plunging cliffs and pockets of pebbly beaches as well as colorful and irregular underwater world, the Zingaro Reserve is the best preserved area of wilderness on the Island of Sicily. The region was already inhabited in prehistoric times, numerous caves like for example Grotto del Uzzo provided natural “habitat” for our pre-ancestors. However, due to the rough landscape and difficult access the area was always scarcely populated, and even in modern times it escaped all attempts of commercial development. 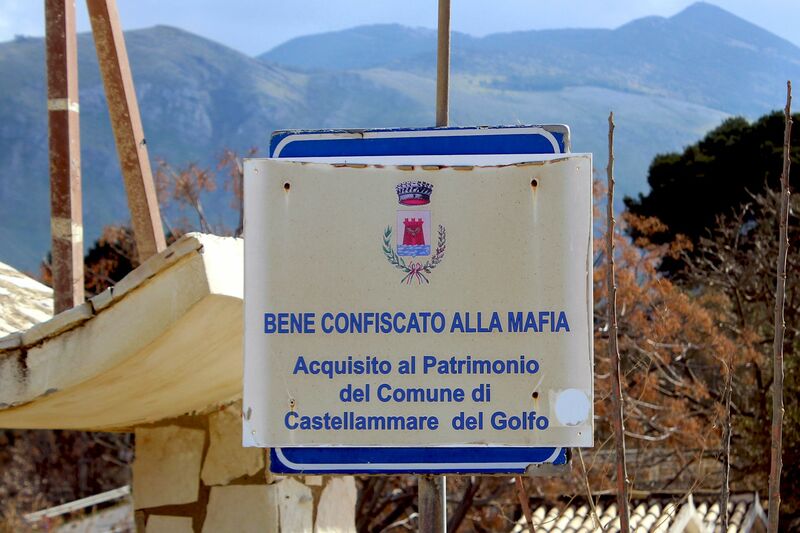 Rumors had it that the status-quo of the “forgotten land” was supported by local mafia, using its “remoteness” and secrecy for their operations. 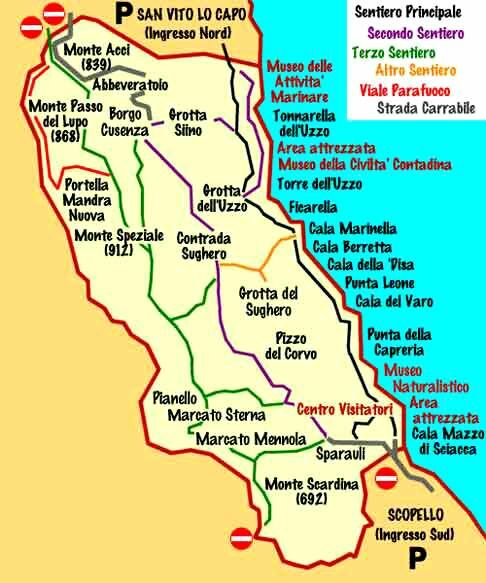 Maybe that is why in late 70s the local government decided to “bring the area into civilization” by building the new coastal road linking Castellammare with San Vito lo Capo. Fortunately it was not meant to happen – shortly after the first tunnel was cut through the rock, the movement of environmentalists started the nationwide campaign to stop the project. The culminating protest took place on May 18, 1980 when few thousands of citizens and conservationists gathered together and crossed the tunnel in a march of protests. 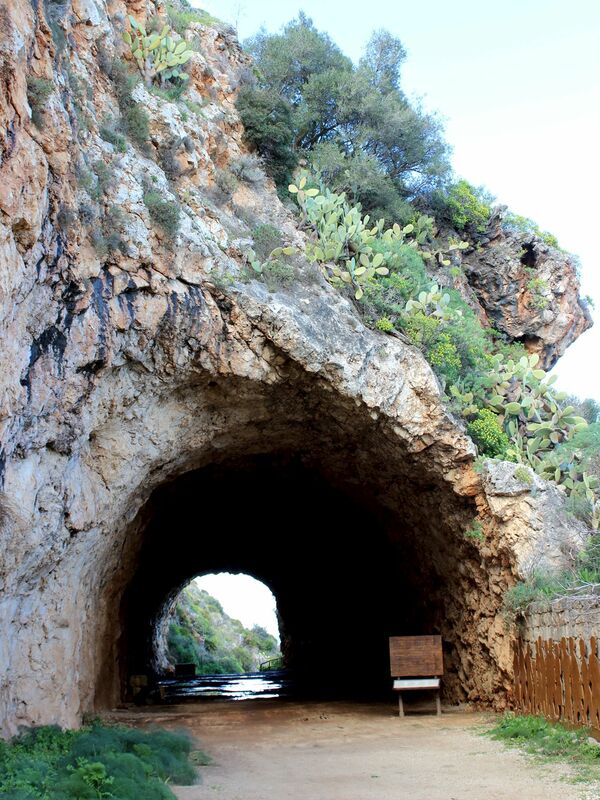 The rest is a history – the lonely “entrance” tunnel is a testimony to the power of will of citizens, while its raw, unfinished rocky walls with dripping water prove the tenacity of the Mother Nature. 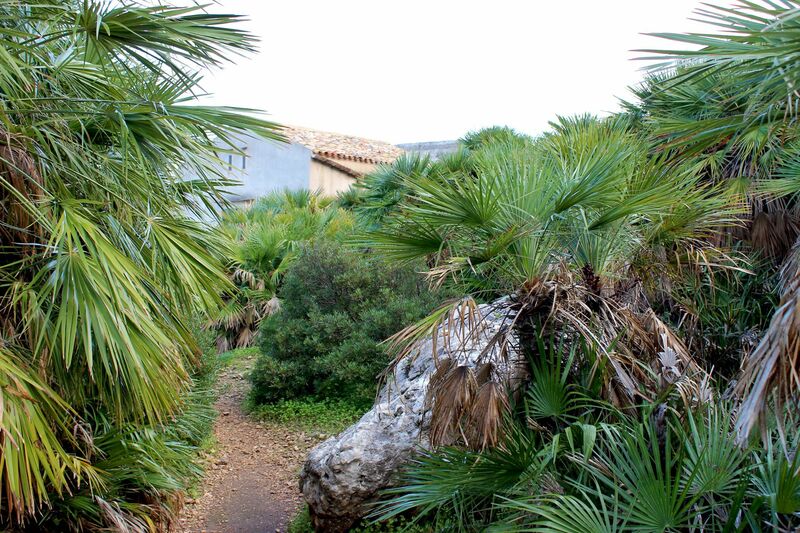 The Zingaro Nature Reserve is accessible from San Vito lo Capo (North Entrance) and from Scopello (South Entrance). 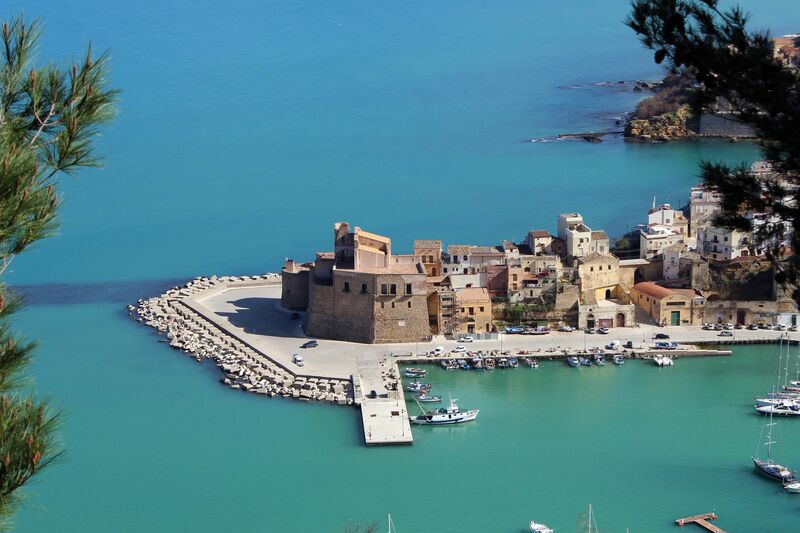 The latter access point is more popular, but mainly because nearby Castellammare is a large urban center well connected to the Sicilian network of roads. Out of the three major trails traversing Zingaro the most common one (and easiest) is the Shoreline Trail (Sentiero Principale). 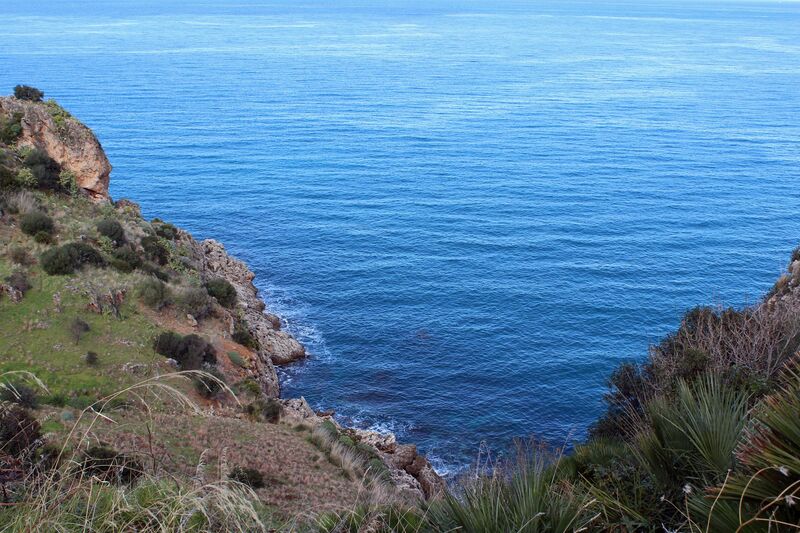 The 7 km (4.2 miles) long path meandering along the irregular coastal line gives access to hidden beaches, fresh water spots and offers lovely views on fantastic shapes and colors of nature. Near the southern entrance, on the gentle slope there is a large picnic area (Area Attrezzata) with wooden tables and benches protected by canopies from the sun. Although nearby parking has places for RVs (no hookups), the picnic area (as its name suggests) is rather for those trying to escape the city during hot weekends. 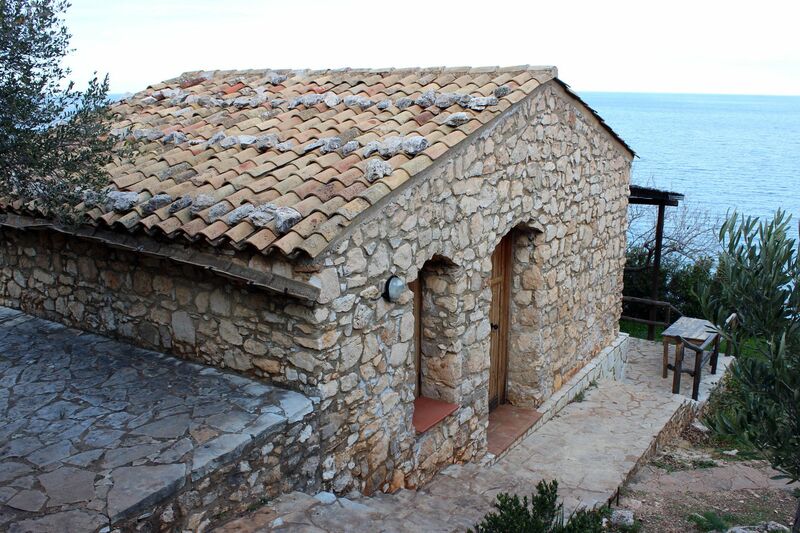 Moving farther along the path you will find a Rifugio – a little stone house perfectly blending with the landscape. The source of fresh water and outdoor fire-place promises “all-season” drink and possibly hot-season “snacks” although the latter is questionable…. The refuge also offers much needed toilets (Similar picnic area and Rifugio are “symmetrically” located next to the Northern Entrance (Ingresso Nord). Little farther there is a Visitor Center housing the Education and Nature Interpretation Center displaying photos and description of local flora and fauna. 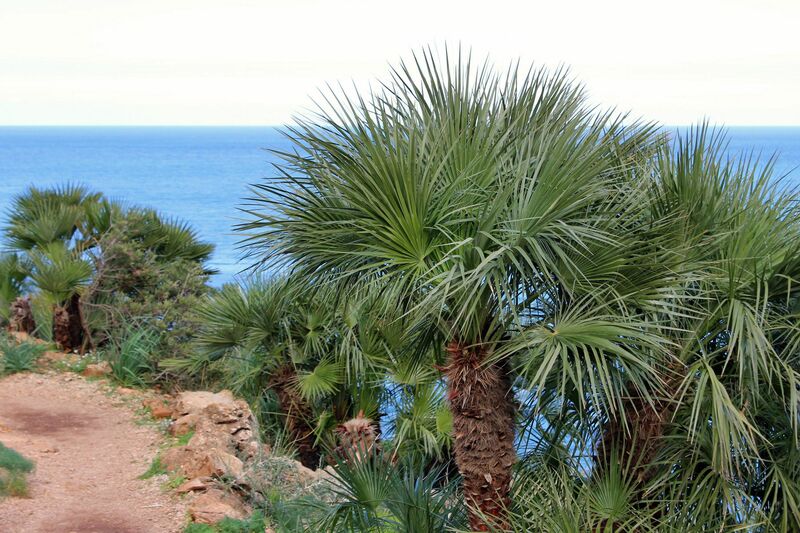 It’s worth to note that the park is home to some 600-plus species of plants, trees and shrubs including the only indigenous European palm known as Dwarf Fan Palm. Park’s grounds are populated by rodents and rabbits, but their population seems to be well “controlled” by numerous species of prey birds like falcons, eagles and griffon vultures ruling the sky. 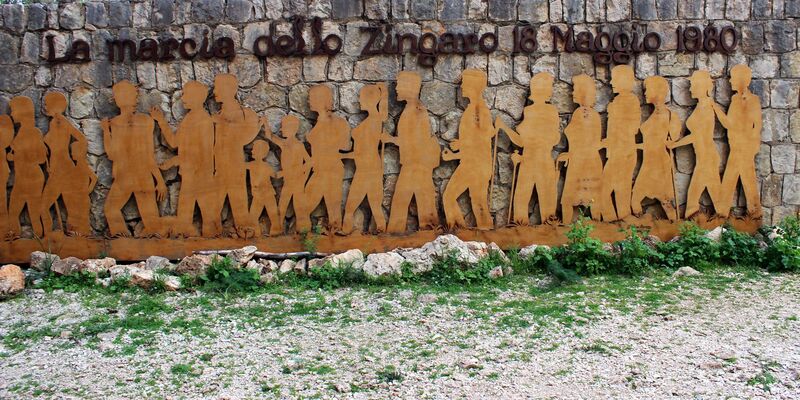 At least they seem to have big chance for “free lunch” (tourists must bring their own snacks and drinks because inside the borders of Zingaro there are places serving food). 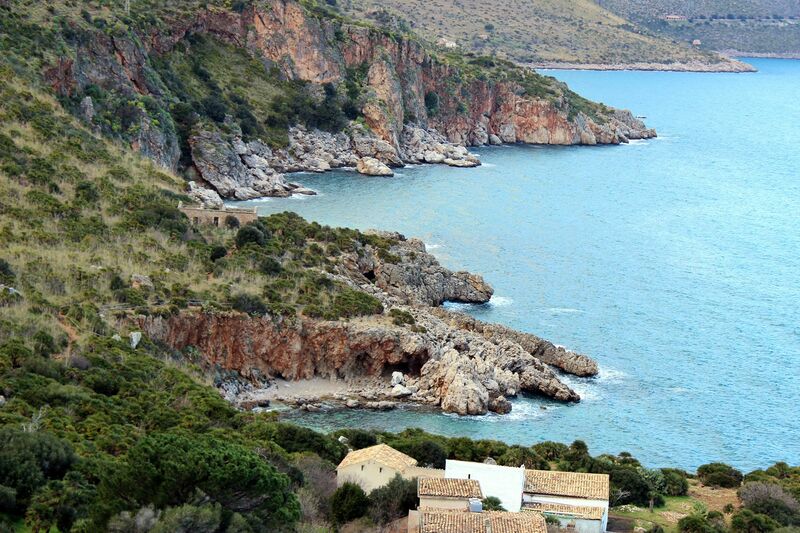 Right after the museum there is the first hidden gem – Cala della Capreria. During the hot-season the beach is quite crowded (mostly due to its location at a short distance from the entrance – just some 20 minutes of walk). 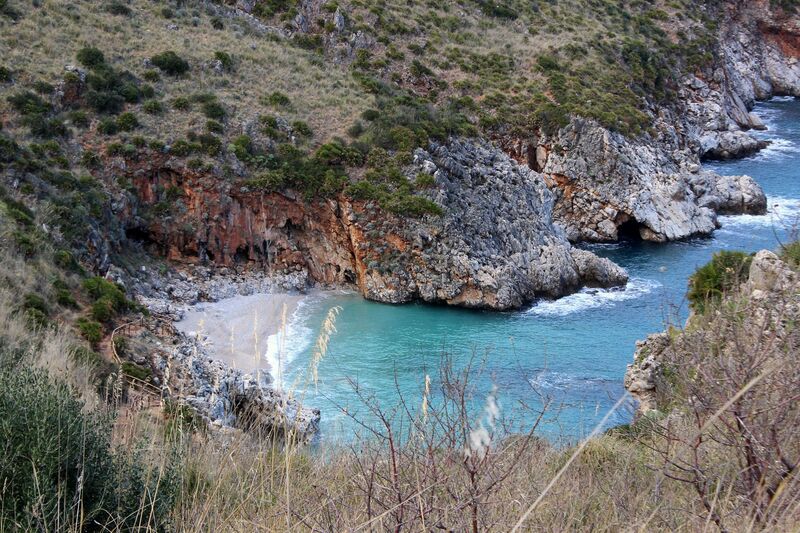 The next beach – Cala del Varo is so well hidden that not only cannot be seen from the trail, it is also inaccessible from the land offering its virgin beauty and seclusion only for those coming by boats. Farther along the trail there are more little beaches - correspondingly Cala della Disa and Cala Beretta (at a distance of about 1 hour walk from the entrance), Cala Marinella (about 1 hr 20 minutes from the entrance), and some additional 20 minutes later Cala del Uzzo (next to the Uzzo’s Tower and namesake Cave). It takes about 2 hours to reach the Northern Entrance leading to San Vito lo Capo – a little resort with miles and miles of beautiful sandy beaches along the picturesque turquoise bay. The second trail winds near the crest of the mountain range passing by 400-plus meters (1200+ feet) peaks of Borgo Cusenza, Contrada Sughero and Pizzo del Corvo. 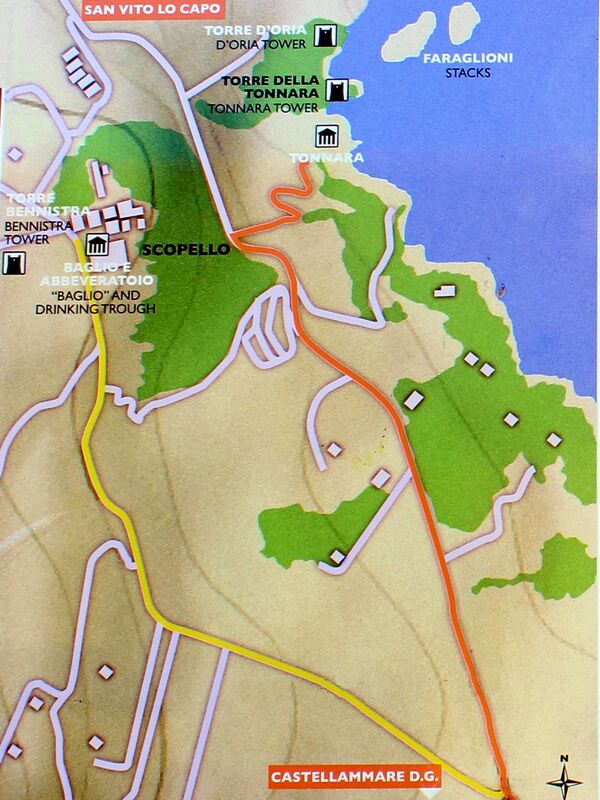 The trail is 8.5 km long and it takes about 4.5 hours of good hiking effort to reach its end. In exchange for the sweat, nature provides captivating views on the mountain range, valleys and a “Rhapsody-in-Blue” of the Tyrrhenian Sea waters. 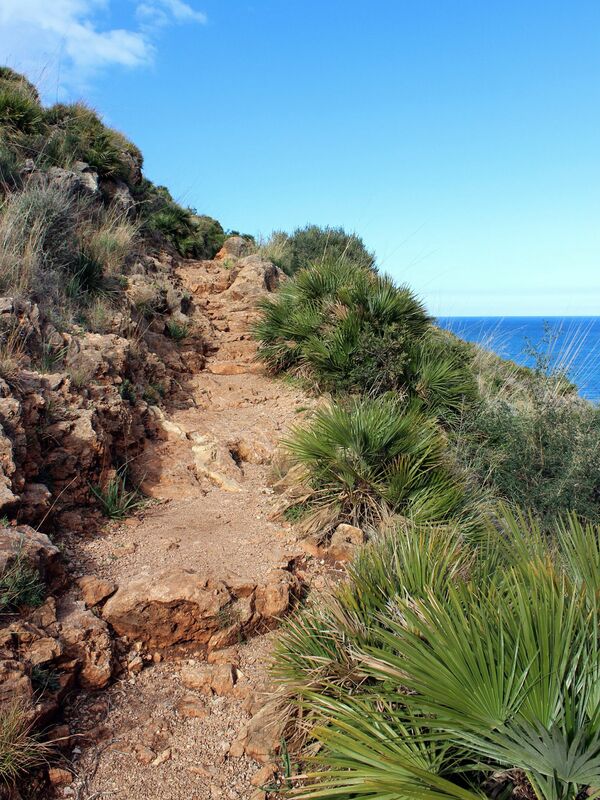 The third trail is the longest one (about 16 km) and most challenging as it crosses the “Upper Zingaro” range passing near the highest peaks. 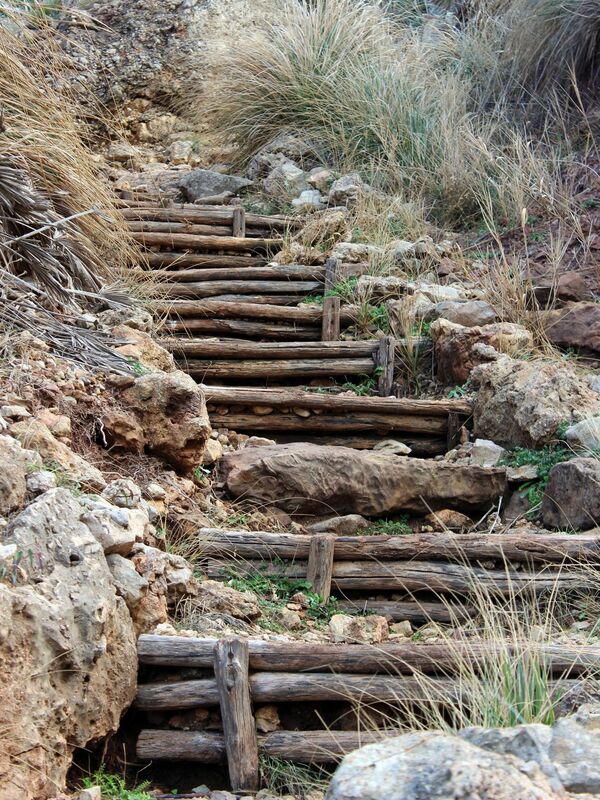 It takes about 7-to- 8 hours to make it and it is suggested only for seasoned hikers. 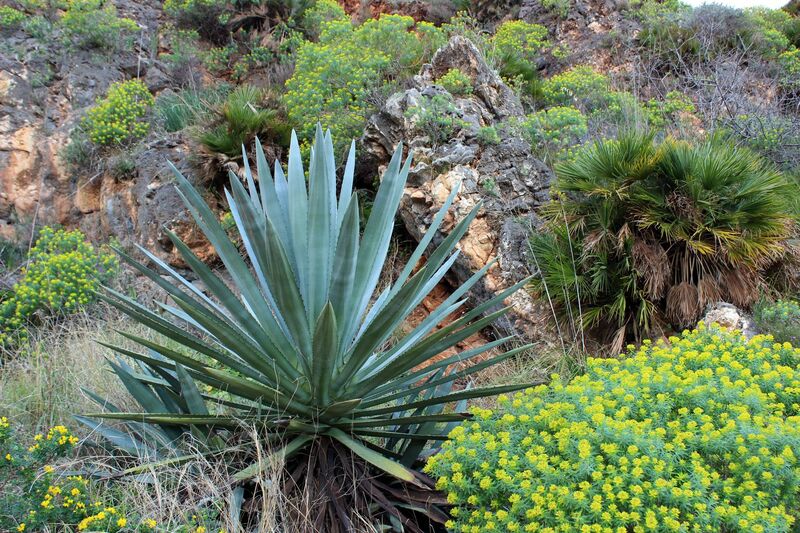 But the “physical pain” brings an “emotional gain” in form of remarkable panoramic views on both sides of the mountain range and Tyrrhenian Sea, good chances to spot nests of some “kings of the sky” as well as rare endemic species of flora (for example orchids…. ). 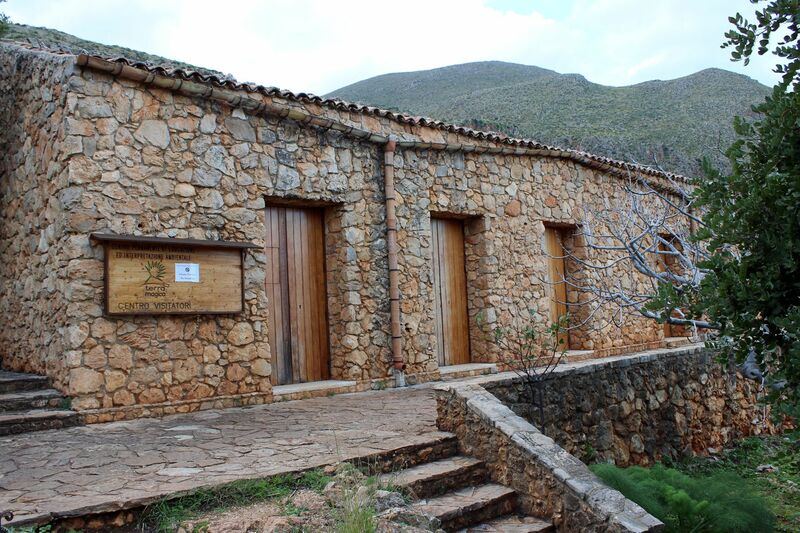 While in general the park is open for visitors only during the day, in hot season some of the existing old rural buildings may offer shelter for an overnight stay (area of Sughero and Calla della Disa). Be aware that trails are exposed to sun, areas of natural shade are almost non-existing and drinking water is available only in few places. Fortunately maps available at the entrances provide good information about where you can find drinking water and toilets. 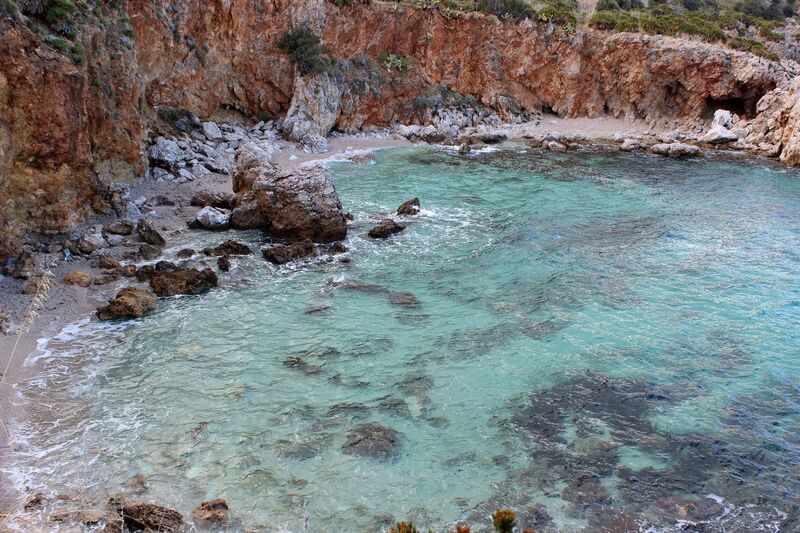 Those who prefer the water over the land may enjoy a fairy-tale like underwater extension of the Zingaro Nature Reserve. It’s the “exotic” world of caves, below the water cliffs, narrow passages and swarms of colorful sea creatures – the paradise for snorkelers and scuba-divers. But it is also the world of inaccessible from the land small hidden inlets and isolated beaches offering an atmosphere of serenity “disturbed” only by the sound of crushing waves…..
Scopello – a very small picturesque village sitting on a cliff overlooking the gulf of Castellammare is itself a place to stop by on the way to the Zingaro Nature Reserve. Few streets and a group of houses around the old Baglio Borbonico make it all. 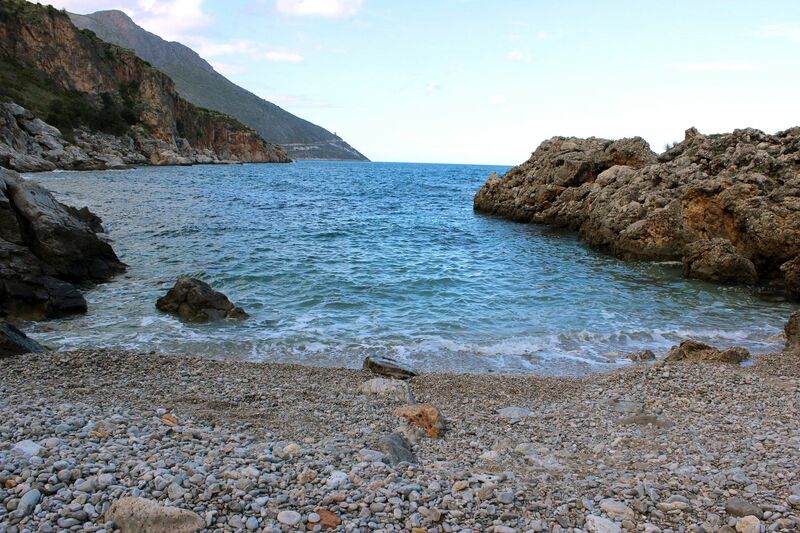 The name of the village seems to be related to its location on the cliff (“Scopelos” means “rock” in Greek). It also confirms that the original settlement has roots in very remote times. 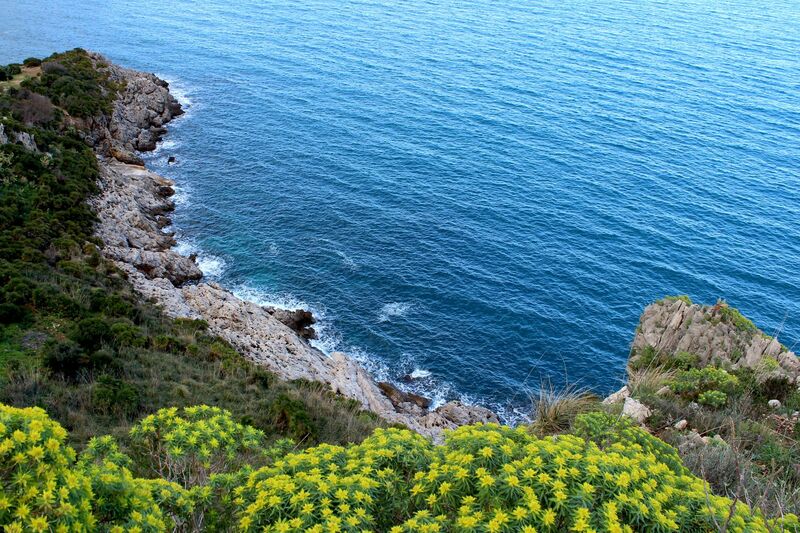 According to tradition, Scopello is located on the site of a mythical city Cetaria, but as we know, the Mediterranean World was always fertile ground for myths. 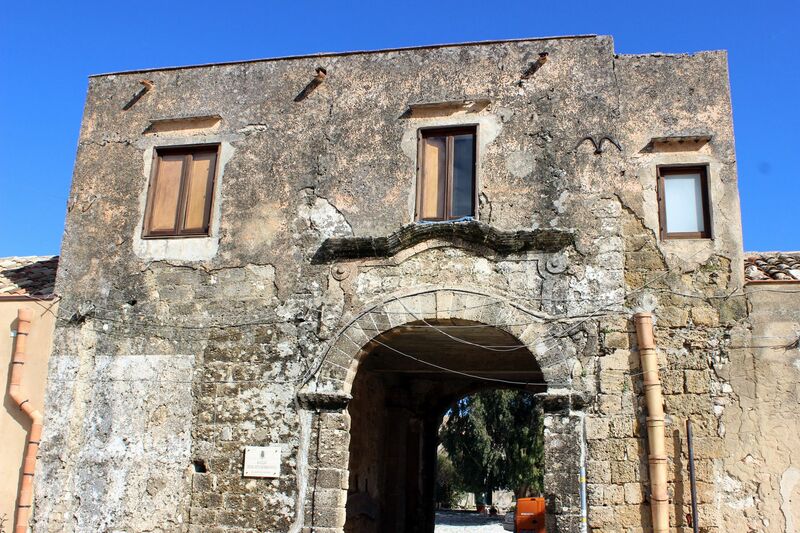 More certain are roots of Baglio Borbonico - this defensive square-footprint structure with a large internal courtyard was built in 13th century on the site of a pre-existing Saracen castle. In the late 18th century, Frederic III Bourbon used the Baglio as his hunting residence (hence the name Baglio Borbonico). 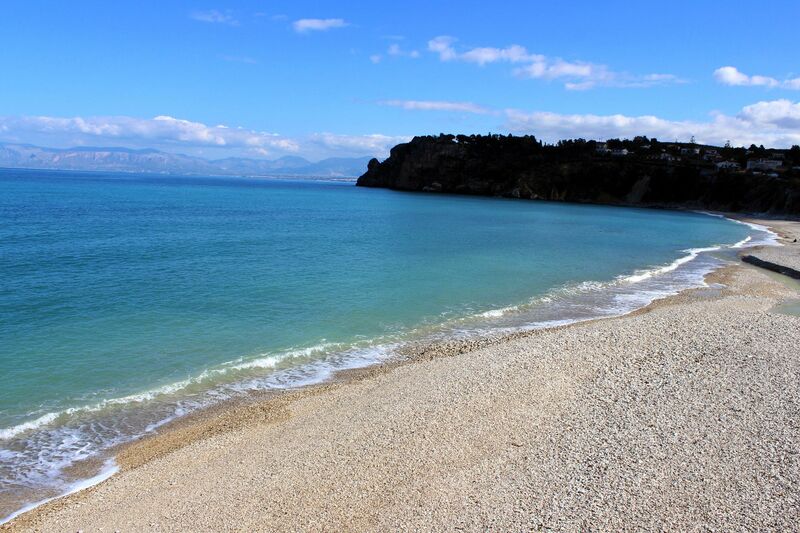 At the bottom of Scopello’s cliff opens an inlet of Guidaloca with pebbled beach and fascinating “faraglioni” (rocks rising from the sea). 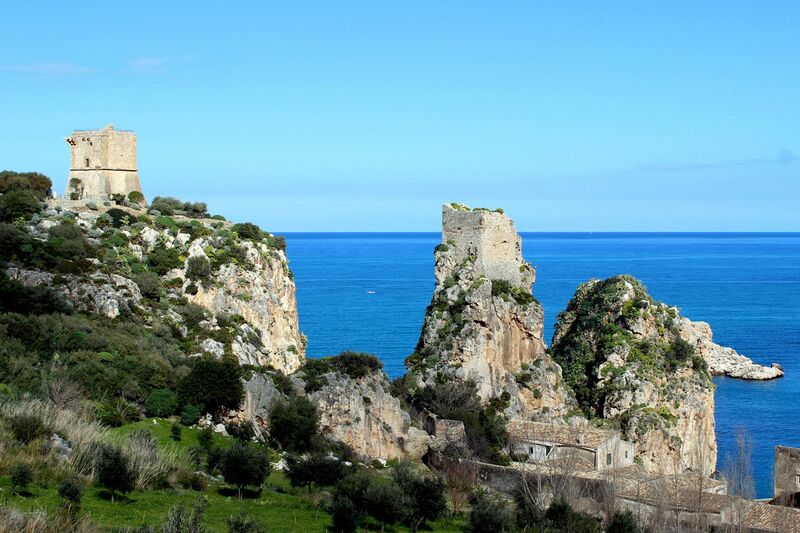 Ruins of two medieval watchtowers - Torre d’Oria and Torre della Tonnara that once upon the time protected the place from dangers coming from the sea, now add an extra dimension to the anyhow surreal beauty of this magic place. 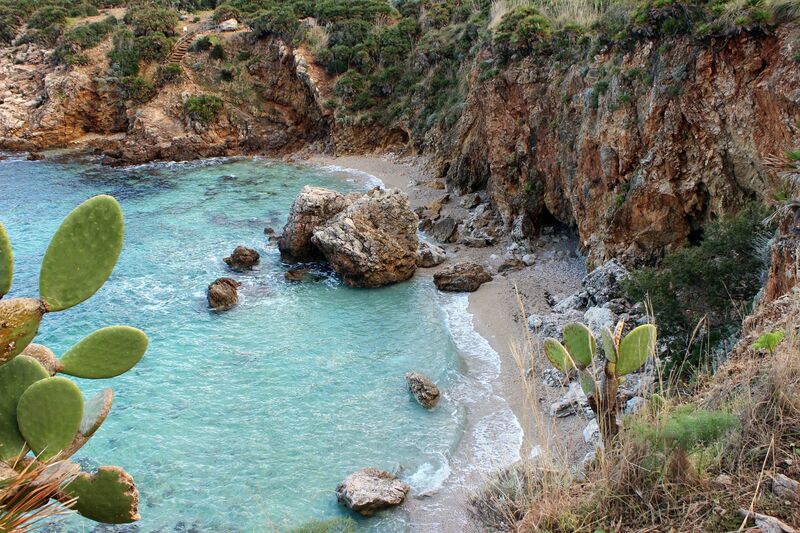 Next to Scopello there are few more small inlets with beaches like for example Cala Bianca, Cala Rosa and the largest one - Cala di Sciacca.